A very well equipped kitchen! The bath is large enough to fit two adults. There's a private parking spot in the garage below the appartement, so you never have to search for a spot. (1) Very helpful host to let me check-in past the usual check-in time. 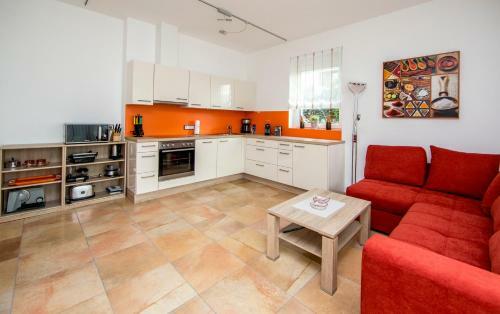 (2) Washing machine (3) Beautiful terrace (4) Extremely clean with very new sofa. 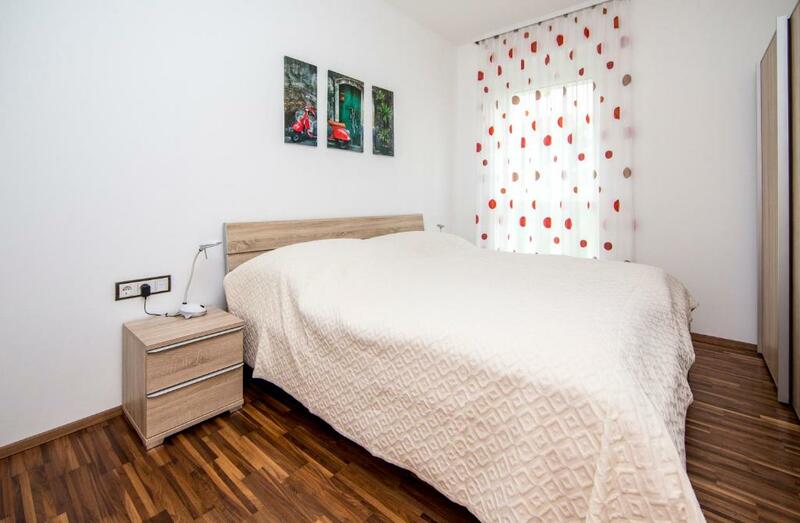 Kényelmes, tiszta, szép, jól felszerelt, modern apartman. Családoknak kiváló! Az autónak beálló a mélygarázsban. A gerltzeni sípálya csak néhány perc autóval. minden igényt kielégítő felszereltség, korszerű apartman. A mélygarázs különösen fontos és célszerű volt. A sífelvonótól 3 percre! Sehr moderne schöne Einrichtung, viele Küchengeräte, sehr sauber, schöner Garten, toller gepflegter Badegrund mit Steg, leicht zu finden, netter und hilfsbereiter Kontakt. 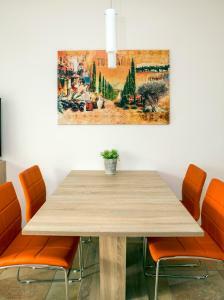 Die Wohnung kann man nur als SEHR SCHÖN UND MODERN eingerichtet bezeichnen. Es hat an absolut NICHTS gefehlt !!!! 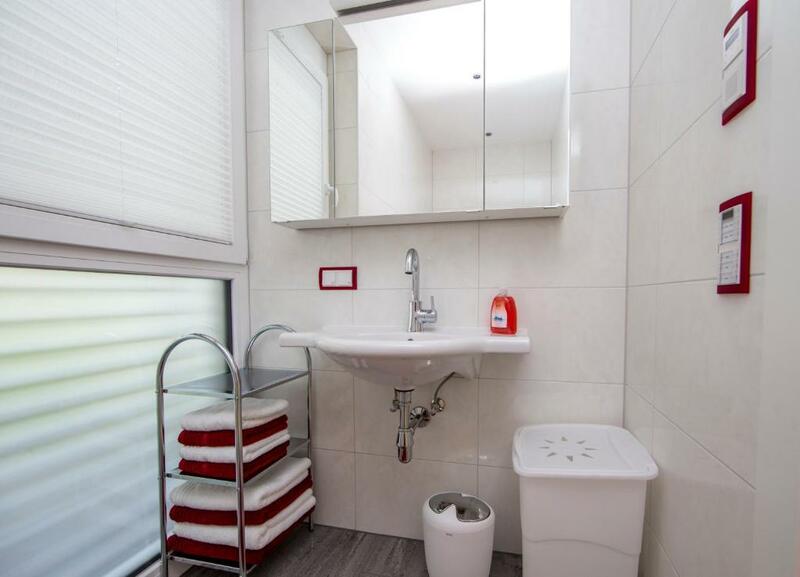 KÜCHE, BAD sep. WC, TERASSE auch die ZIMMER.... P E R F E K T Der Vermieter hat auf Sonderwünsche SEHR ENTGEGENKOMMEND reagiert. ER war auch super freundlich. UMGEBUNG usw. Nur SCHÖN. Für uns war die Anfahrt zum HARLEY-TREFFEN gut machbar. 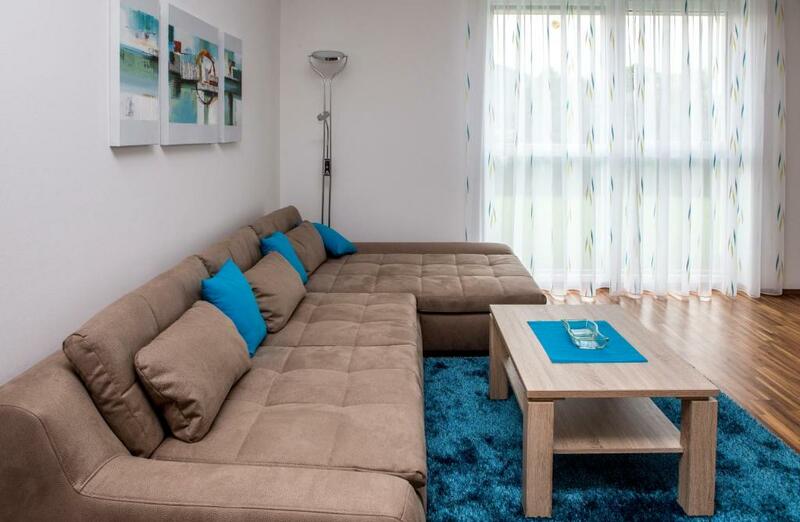 Zeer goed en compleet ingericht appartement voorzien van alle gemakken. Lock in a great price for Ferienwohnungen See & Berg – rated 9.7 by recent guests! Located in Landskron, Ferienwohnungen See & Berg has accommodations within a 20-minute walk of Eagle Show at Castle Landskron. Complimentary WiFi is provided. 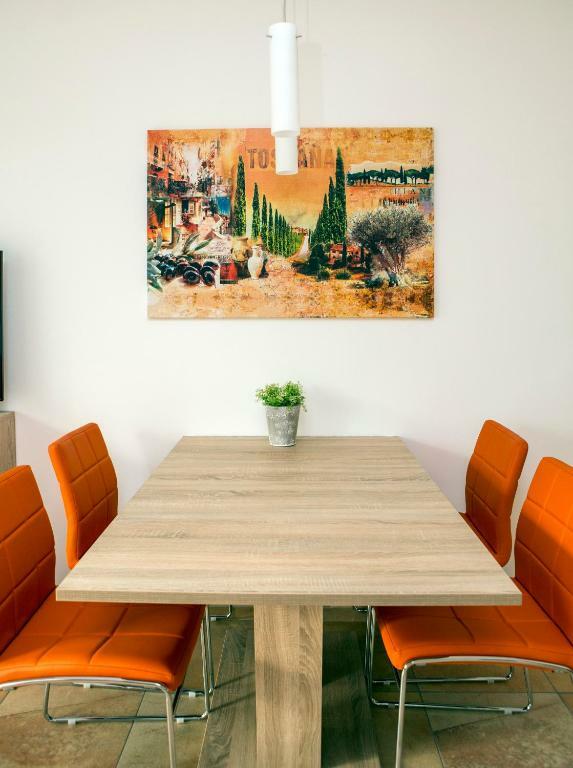 Each unit comes with a seating area, a flat-screen TV with satellite channels, a well-fitted kitchen, and a private bathroom with a hair dryer. A dishwasher, an oven and microwave are also featured, as well as a coffee machine. Skiing can be enjoyed nearby, while a private beach area and ski storage space are also available on site. 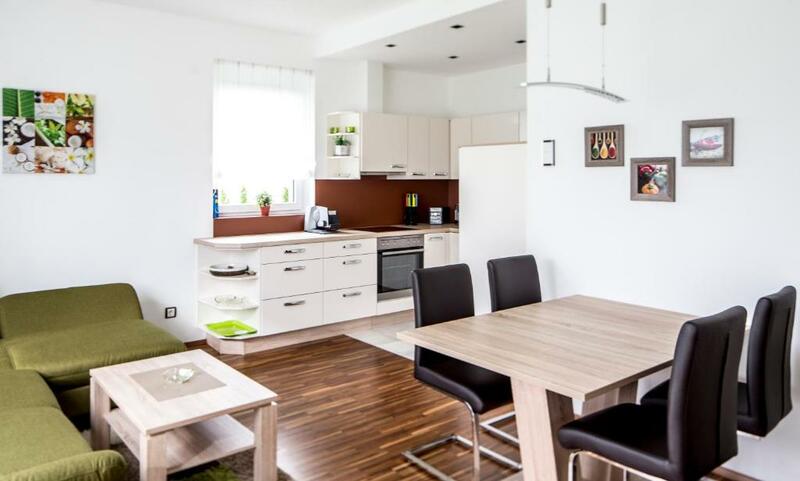 The nearest airport is Klagenfurt Airport, 26 miles from the property. This property is also rated for the best value in Landskron! Guests are getting more for their money when compared to other properties in this city. When would you like to stay at Ferienwohnungen See & Berg? This apartment has a stovetop, soundproofing and oven. Die Hausgemeinschaft Tischner & Klein vermietet ganzjährig drei wunderschöne Ferienappartements direkt am Ausfluss des Ossiacher Sees. 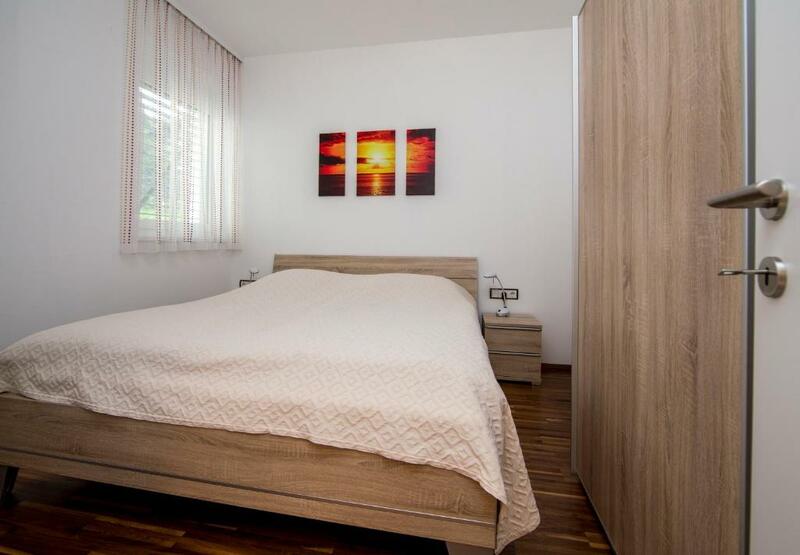 Die drei Ferienappartements liegen praktisch im Herzen Kärntens, unweit von Villach, direkt am Ausfluss des idyllischen Ossiacher Sees in Landskron. Zum Winterparadies auf die Gerlitze, wo sich Tausende Schifahrer tummeln, ist es ebenfalls nur einen Katzensprung. Rund um den Ossiachersee warten viele Ausflugsmöglichkeiten, Kilometer lange Rad- und Wanderwege sind bestens gepflegt. Auch ein Ausflug in die Nachbarregionen (Italien, Slowenien) lohnt sich. Selbst bei Schlechtwetter ist genug Abwechslung vorhanden. House Rules Ferienwohnungen See & Berg takes special requests – add in the next step! Ferienwohnungen See &amp; Berg accepts these cards and reserves the right to temporarily hold an amount prior to arrival. Ferienwohnungen See & Berg accepts these cards and reserves the right to temporarily hold an amount prior to arrival. Please inform Ferienwohnungen See & Berg of your expected arrival time in advance. You can use the Special Requests box when booking, or contact the property directly using the contact details in your confirmation. The automatic lights in the hallway and toilets, which always shine at full brightness (even in the middle of the night). While the location is nice, it is also close to a busy road, so in the garden there can be some noise. It could also get quite warm inside on hot days. There's limited space left around the beds in the bedrooms. Auto on-off light in the toilet. A little bit not very sensitive in detecting people in the toilet and keep shutting off.